Let's be honest about a few things that if you're a wedding photographer - you totally get. And if you're not a wedding photographer - you're about to learn some truth about our lifestyle. Coming home from the end of a long wedding day with aching feet and a sore back feels like a victory but we all know, our work doesn't stop there. Truly, in a sense, the work has just begun. All the editing is now at the forefront of our minds and it can very seriously be overwhelming. 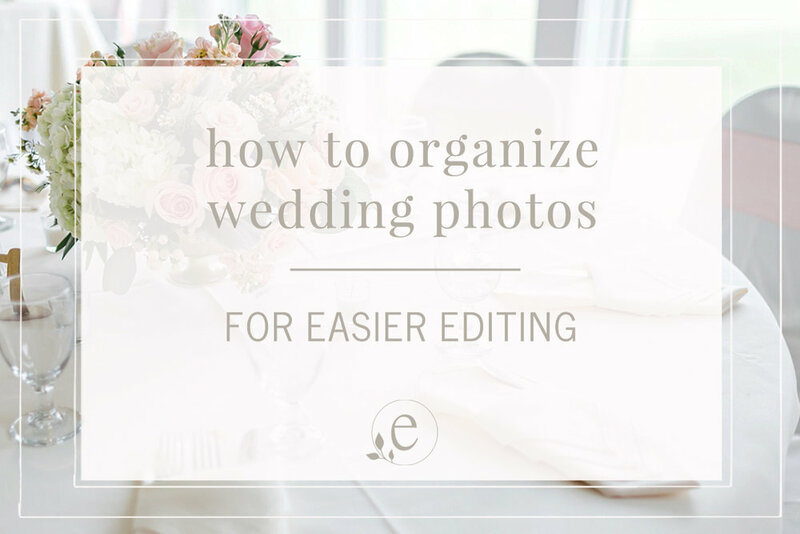 When you're faced with a handful of memory cards and upwards of 4,000+ photos - staring and scrolling through those on a computer screen and knowing you have to go through them all, cull them down and edit each one for your sweet couples is a dizzying fact. I've totally got a little workflow system though, that takes those 4,000+ images and breaks them down to much more manageable, less overwhelming chunks, and this helps tremendously! It's super simple, takes hardly no time at all, and you'll thank yourself over and over and over til' the cows come home. I'm a visual person through and through, so I'll explain first and then show you what I mean below! (04.21.18 - Hannah + Tyler Wedding >> Originals). Once all those images are in that Originals folder, I then go through and move them over into the six subfolders within the Originals Folder!! It's super easy and fast - just a quick select and pull-over of all the details and prep photos going into "01 - Details + Prep"... and you'd repeat that process for all pics of your bride and groom, all the bridal party photos, all the family photos, all photos of the ceremony, and all of the reception -- moving each into their respective subfolder. So, the whole point behind this is that having the 4,000+ full wedding day set of images broken down into those six subfolders means that I can look at the wedding day one section at a time when I'm culling and editing. Instead of sitting down and culling all photos at once, I can instead cull just the bride and groom folder, or just the family photo folder.....and by having them all split into chunks, I'm faced with just a few hundred photos at a time! THERE'S YOUR GOLDEN TICKET -- ultimately this workflow means you're culling and editing a few hundred photos at a time VS culling and editing through all the thousands you shot all at once! I hope this was super helpful!! 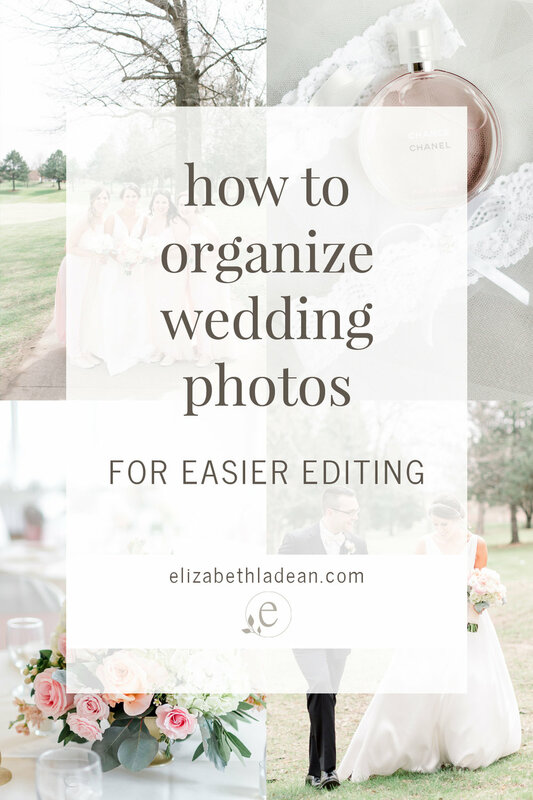 If you have any additional questions about how I organize wedding photos, please let me know, I'm happy to help!